What do you get when you mix all-American sports gone wrong, voluptuous blondes in peril, and clumsy vampires? 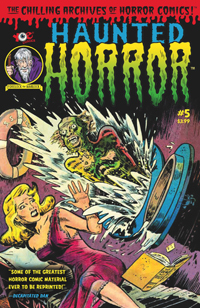 No, thankfully not another Twilight sequel, but instead the latest sampler of vintage horror’s greatest hits (and misses) in Haunted Horror #5 from IDW. 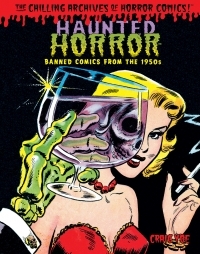 These seven tales of the bizarre and macabre were originally published in Golden Age favorites including Fantastic Fears, Voodoo, and Horrific, and their 1950s flavor definitely adds to their appeal today by providing a bit of a humorous distraction from the usual gore found in modern horror collections. 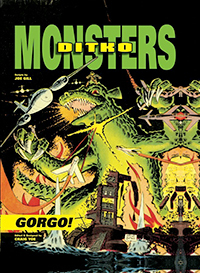 Ditko Monsters, Volume 1: Gorgo is a real treat for any fan of Steve Ditko, comics history, and giant monsters. This book is REALLY well done, looks gorgeous and is the latest in IDW Publishing’s home run of collecting older material. First, let’s take a look at the book itself. It is incredible!! Writer Craig Yoe is an absolute authority on Steve Ditko’s Gorgo, and Gorgo in general. His introduction and text writing in the book is very interesting and gives you a TON of information on every aspect of Gorgo and the Gorgo comics. 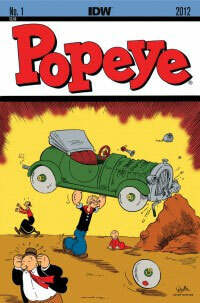 Keep in mind, this is NOT a trade paperback or graphic novel. Yes, it does reprint some Gorgo comics drawn beautifully by Steve Ditko, but it’s almost text book like in it’s reading. Some VERY informative and awesome stuff.